Google’s revolutionary new programming language Go has just hit a major milestone: version 1.0!!! I know the computer science world doesn’t really need another programming language. We’ve already got so many to choose from it’s hard to find two programmers with overlapping skills. The only language that has really stood the test of time is C/C++. Granted Go didn’t make it into the top-50 on Tiobe’s March 2012 Index (neither did Google’s other language, Dart) but considering these languages were already on the chart while in beta is important (Tiobe’s index tracks languages that are actually used, they have to be more than a figment of someone’s imagination). The other thing to consider is that Go is a server-side language, there’s no UI elements (no native at least, nor official). So now that Go is at version 1 and out of beta; and as the world of the cloud heats up where micro-clients on mobile phones and tablets hand the processing, data storage, and sharing to web services we’ll probably see more and more demand for a language like Go. Currently any Windows, Linux, FreeBSD, or OS X system can run Go; as for PaaS support there’s Google App Engine of course but we should see more PaaS support now. So good luck to Google, and their Go language. Happy 1st birthday!!! The famed, mysterious G-Drive is apparently finally coming to the internet! There have long been reports since 2006 that the G-Drive, used internally at Google as Platypus, was coming. It’s hard to imagine that the initial, free, limit is 1 GB when services like Drop Box offer 2 GB and Sugar Sync offers 5 GB. Even Microsoft’s Sky Drive offers 25 GB (at least through certain partners) so why would Google only offer 1 GB? Still, I like the idea of Google offering a cloud storage service. 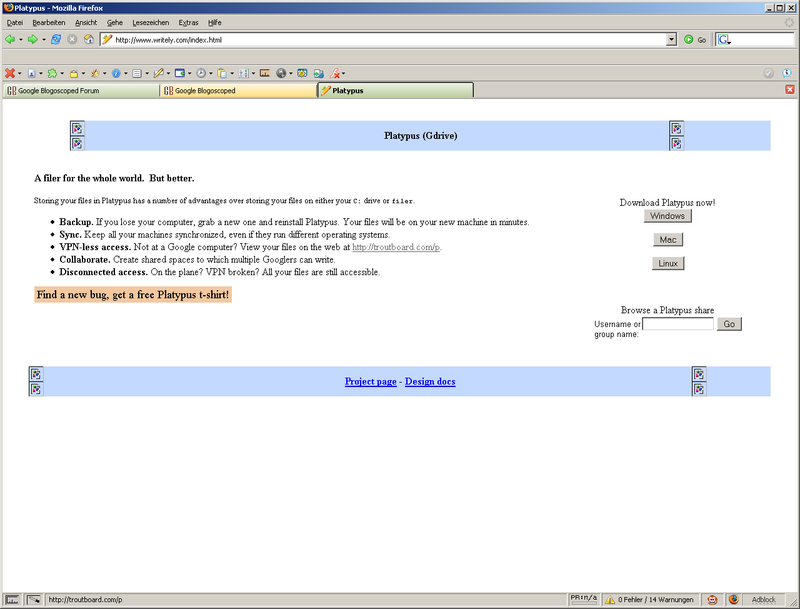 Of course it will integrate Google’s other services, like photos from Picasa Web, music, documents, books, and others. We’ll probably even be able to send files directly from our GMail account; and of course share them via Google+ (if you’re into that kind of thing). And let’s not forget the Android integration! Of course Google needs that to put something on the plate to compete with Microsoft’s Sky Drive (on their Windows phones and tablets) and Apple’s iCloud. So let’s line-up our files and get our internet connections ready, the uploading is about to begin! 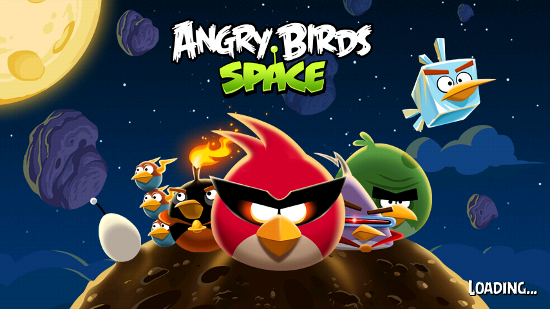 I succumbed and installed Angry Birds Space. After seeing the promo by NASA it was hard to resist. 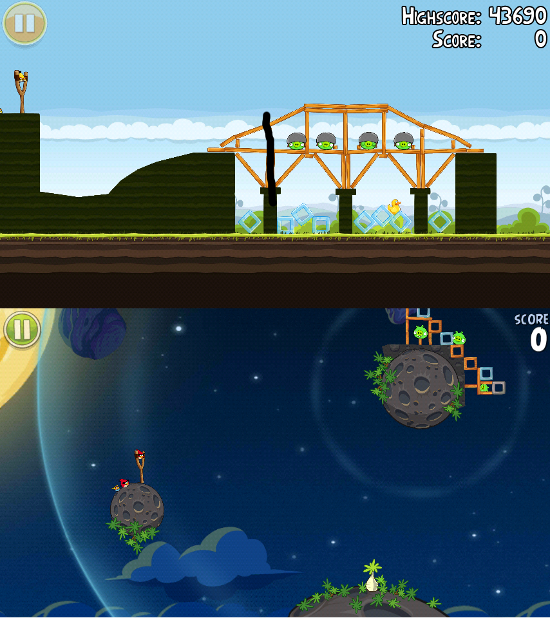 Angry Birds is great time killer for when the day is done and my brain is on vege-mode. But the latest addition to the franchise is a bit hard on the eyes on my little (um, well, 4.3 inch) screen. It definitely looks like it was made with tablets in mind. There’s so much going on the screen, and there’s a lot more movement in this game. It’s no longer just up and down, the birds are zipping around planets and swinging back in the same direction they came from. I don’t know if Rovio has admitted this one was made for tablets, but it definitely feels like that’s where it would be best played. Twitter is awsome! 140 characters then STFU!!! I only follow people I know so even if I only check it on the train twice a day I’m still not scrolling more than a couple pages to catch-up. And it only takes a few seconds to read each tweet. If there’s something really interesting I can star it and come back to it later. For companies, blogs, etc. there’s RSS feeds in Google Reader. It’s nice to have that separation. I know I can flush my backlog in Reader without missing something a friend says. And I know my Twitter is a quick catch-up on my friends without any corporate-ad-crap interlaced. If I could do that with Facebook – and they had had a bit more respect for my privacy – I would still be active there. But I can’t. So I’m not. 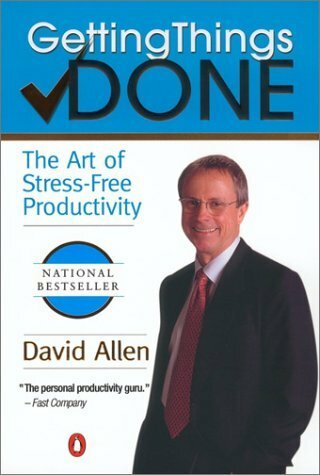 David Allen’s book on productivity, Getting Things Done: The Art of Stress-Free Productivity (or GTD to his followers) was the second book on productivity I read, but the one that made the most impact. It has a simple philosophy that is broad enough to apply everywhere and straight-forward. I have to admit I’ve fallen off the wagon somewhat lately: I’m having trouble integrating some of the tools I have at work and some of the things I do as a Dad into a nice and simple workflow. But the advice David has is just as valid today as the first time I read his book. So, how do you Get Things Done?! This is exactly what I expected from Android when it was first announced, before it was released, and then we saw what the manufacturers were doing and where the carriers were taking it. The device should be just hardware, you added some drivers to the OS provided by Google (or Cyanogen or MIUI or …) and away you go! Of course there would always be an official version but us geeks expect to tweak and modify our phones. Finally, and rather ironically, Sony is stepping up and giving us that ability. It’s not the first time Sony is more accommodating than others to the third-parties (they unlocked their boot-loaders before anyone else; and have worked with the CyanogenMod team) and lets hope the results encourage them to keep it up. 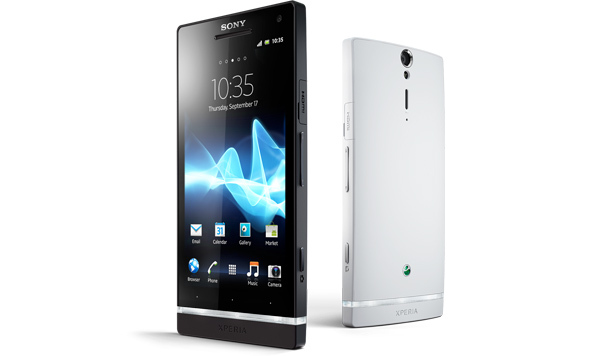 I have to admit I’m surprised Sony hasn’t flexed some of it’s retail muscle more than the other manufacturers. Perhaps now that Ericsson is out of the picture they will be able to. After all, Sony is the only one other than Apple that has such an extensive and well developed retail network. They really don’t need to rely on the carriers to promote or distribute their products, so why should they worry about what the carriers want – they should just sell their phones like they sell all their other electronics, through their retail channels. So they’re finally going to considering letting us do what plenty of people already do: get in one last e-mail as the plane accelerates down the runway! How many times have you been getting on to a flight and seen the people around you tapping away on their Blackberry? I was always told they have that rule so you pay attention to the safety instructions (those emergency procedure pamphlets could use an update too – they look like they all came from a de Havilland Comet). The problem is the requirement to test every version of every device! And the FAA expects airlines and device manufacturers to cooperate; and those that don’t will be on the no-fly list! But do you really think they’re going to issue stewardesses with a field guide to identify tested and un-tested devices?! What if an Asus Transformer is certified, but a Transformer Prime isn’t?! Or the original and iPad 2 are certified but the new iPad isn’t?! Good luck with that?! 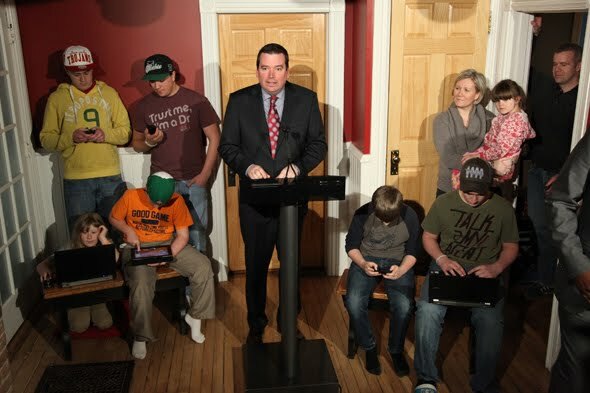 And the manufacturers know that, so they’re not going to pay for all their devices certified – just enough that their brand is recognized as certified and hope that’ll carry the rest of the models through. Unless the FAA plans on issuing certification stamps that have to be clearly visible on the back of the device (like child car seats are certified for airplane use). Wikipedia is definitely a shining example of how the voluntary collaboration between complete strangers, completely un-managed and un-coordinate can produce amazing results!!! There are plenty of other examples too, but Wikipedia is one we can all appreciate because we can all participate – there’s some subject to which any of us can contribute. Many years ago I contributed to the Platform as a service article, any one else out there add their name to the wiki? !